This is the prophetic word for October 2017. We have entered the month of Tishrei on the Jewish Calendar. It is the new year of 5778. Happy New Year! In Hebrew it is L’Shana Tova! This is a good month. It is the year of new beginnings! When I asked the Lord to give me a word/message specifically for this month there was one thing that was impressed upon my spirit to share with all of you. God wants to deal with your trauma. Will you allow Him to do that? It’s not OK for us to just go from year to year, season to season without first dealing with some of the past issue. Can we all agree that the year this far has been a very difficult one? Yes! It has. For everybody. If you’re from the south… it was hard for errbody! So do we just keep praising God and moving along? Yes, that is generally what we do. We say praise God. Pull out a scripture and try to move on into the breakthrough, when it happens, like we didn’t just go through a major battle and endured some REAL SCARS. God want to remove the scar tissue. We have been wounded within our souls because of the trauma from this past season. For some of you the season was more than a year – maybe even 5 years of warfare that has left you quite wounded in your soul. To the point where even after getting your breakthrough you still feel downtrodden in your spirit. Do you know what I’m talking about? That’s what God wants to deal with this month. Have you ever met someone and they were so bitter because of things that happened in the past? They don’t trust anyone, they’re afraid to love, they can’t connect with a new church because they are still dealing with the wounds from the last church? God wants to heal that. What happens is that when the new thing comes along they process from the old trauma and could actually ruin a good thing because of past hurts. You’ve just begun a new year and a new season. It doesn’t matter if things around you look the same, in the spirit you’ve entered a new season. With new seasons come new opportunities, new alignments, new connections. God wants you to move into the new season WHOLE, not in fragments. Let’s start all things new with renewed hope. Renewed faith. A new heart towards people in general. With soul that has been healed from past trauma. No more scar tissue. God wants to heal you from that. How do we do this? First, you’re going to need to get alone with God and ask Him to point out to you all the areas in your life where you have trauma. For some this may even go back to childhood. You’ll need to extend forgiveness. Ask the Lord to heal your soul. Remove the scar tissue from your past hurts. Do you have a broken record playing in your head of a past hurt or pain? That’s the trauma that is still there that needs to be dealt with. I know you were probably expecting more than this for this month but if you don’t deal with this all the great things God has planned for your 5778 won’t go as well as you’d hope. Yom Kippur is September 29 – 30. This is known as the holiest day of the year on the Hebrew Calendar. It is the day of atonement. This is when Jews ask for the forgiveness of their sins and that of their nation and go on a 24 hour fast Leviticus 16:29-30 & Leviticus 23:32. It is a time to go deep and introspective. It is said the God looks upon their life and gives the blessing for the new year. So during your time of repentance and for the rest of this month, if you choose to focus on being healed from your past trauma then you will be ready to receive the blessings that God will bestow upon you for 5778. I have a word for the new year, and it is GOOD, but God wouldn’t allow me to release that yet until this was addressed. Tishrei is the first month when counting from creation because 1 Tishrei is when the heavens and earth was created. From a spiritual perspective it is known as the seventh month. Why is that? Because on the Ecclesiastical calendar the Jews leaving Egypt (the month of Nissan) is considered the first month of the year. At any rate, 7 is the number of completion so the month of Tishrei is very significant for the end of an old cycle and the beginning of a new. I once heard someone say, think of it as a school calendar year…the year starts in January but it is actually not the start of the school year. School starts in August/September. Hope that helps to clear up confusion if you hear Tishrei being referred to as the 1st month and also the 7th month. 10 Tishrei – Yom Kippur the day of Atonement and it is when the tithe was established in the bible Genesis 14:17-20 When you read this you realize that Abram (before his name was changed to Abraham) gave the tithe to Melchizedek and this is said to be God Himself. This was before it was written into the law of Moses. Basically Abram knew that he had to pay tithes to God. Isn’t it interesting from the very beginning God establish tithing? If you are not a tither then you might want to start doing that. God has never abolished tithing. Any minister that tell you otherwise will need to show you in the bible where God/Jesus says to stop giving the tithe. Your tithe should go to your local church that you attend every week. When you tithe you have to think of this as Abram did, you’re giving it to God Himself. You need to be a good steward and discern whether or not you are actually tithing into a ministry that is sharing the gospel of Christ and building the Kingdom of God. Ministries like this one and others where you feel you are growing and being supported spiritually, you can make offerings and give first fruits but this over and above your tithe. If you don’t have a local church, then you need to pray and ask God to direct you to one. You can then give where you feel led to give since you are not tithing to a local church. 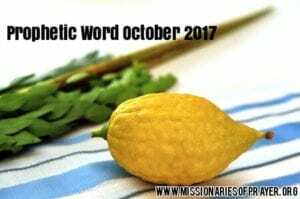 15 Tishrei starts Sukkot – Feast of Booth/the Feast of Tabernacle. This one of the 4 feasts that is still observed today and also represents a time of giving, joy and celebration. A celebration of God covering His people as they traveled from Egypt to the Promise Land. Jewish people usually build a Sukkah, which is a structure like a gazebo where they go to meet with the Lord, friends and family to celebrate. (Leviticus 23:40) says, “Rejoice before the Lord your God for seven days.” The Feast of Tabernacles begins on October 4th and continues for 7 days after. Deuteronomy 16:14-15 says, “Be joyful at your feast for the Lord your God will bless you and your joy will be complete.” Part of celebrating Tabernacles is to bring an offering as an expression of thanks to God. (Deutoronomy 16:16-17) says, “No man should appear before the LORD empty-handed: each of you must bring a gift in proportion to the way the LORD your God has blessed you.” When we express our thankfulness in giving, it opens our heart to receive even more. This is a happy month and a month when we celebrate what God is about to do for us in this coming year. 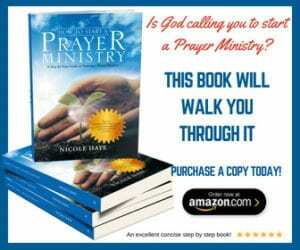 If this ministered to you, and you feel like you need to prayer support in dealing with your past trauma, leave a comment below and this ministry will be praying for you. You don’t need to feel embarrassed or even leave you full name, initials will do fine. We will pray for you. This is important for you to move into this new season well. God wouldn’t allow us to put up the post for 5778 until He dealt with this trauma. That is how important this is. If there are others that you know need to read this, please forward the post to them. If you need prayer for other things you can submit a prayer request here or call one of the 24 hour prayer lines. Yes, please include us as you intercede. I would like move on from all trauma. Believe with me that this cycle ends today. It can not pass to our seed. The Lord said our child will taught of the Lord. In order to teach her the statutes of the Word with a pure heart, yes we need healing from trauma. Thank you for your prayers! God bless you!! I’ve been hurt by someone who was very close to me. This went on for almost 30 yrs. I need your help in getting relief from this pain and trauma as well as being able to forgive. Thank you for your prayers. Thanks for letting me know what God wants me to do before he blessing me, that is praying for past traumas. Thank you for the breakthrough prophetic word. I am asking God to heal every trauma that I have experienced: relationships (friends and lovers), job, and family. I am also asking God to heal current traumas and provide me coping mechanisms to avoid repeating the same cycles of dysfunction. Please join me in praying that God will reveal to me what past hurt/trauma I have, so He can remove it from me and heal me. I ask that God will reveal to me what past hurt/trauma I have, so I can ask Him to remove it from me and heal me from its effects. Please pray for me. Ed K.
Hi this past year was henderous for me I almost went through a divorce due to infidelity and drug related charges my husband did both. But than shortly found out I was pregnant. My baby is 9 months now and things were good there was stability, happiness in the home. Now again my husband is dissapearing and just found out from his boss he quit his work. My happiness is gone once again. I just want consistency please pray for me need to know whether or not to leave this marriage I cannot keep living like this. God bless you and this ministry. I have been going through prayer counselling and receiving healing.Nearly finished.I feel peaceful and amazing. Praise and glory to Our God Almighty in Lord Jesus Christ’s Name.